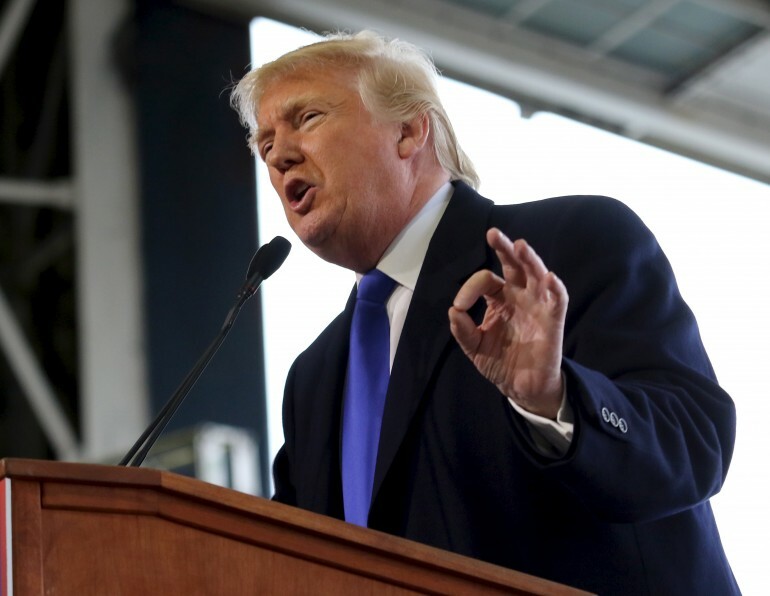 Presidential hopeful and real estate mogul Donald Trump talks tough on border security and deportations. But is the GOP frontrunner serious about turning American into a police state and building a “big, beautiful wall?” Trump’s commitment to his immigration policies was questioned this week thanks to a scoop from Buzzfeed. The outlet reported that Trump may have discussed softening his immigration position in an off-the-record segment of a New York Times interview. GOP candidates Marco Rubio and Ted Cruz immediately called on Trump to give the Times permission to release a tape of the full interview. Trump has not acceded to the demand, but he did discuss his immigration position with Fox News’ Sean Hannity on Sunday night, telling the anchor that his immigration position was indeed flexible. Trump dodged Hannity’s questions saying that he would implement an immigration plan that is “fair.” His vague response, coupled with his reported conversation with the Times, has thrust him at the center of a three-directional debate between pro-immigration advocates, GOP opponents and ardent supporters. “For months, Trump has ducked and dodged presenting actual policy details behind his proposals and it’s time for him to come clean to the American people,” said Todd Schulte, president of FWD.us, which advocates for more legal immigration, in a statement. Conservative columnist and Trump supporter Ann Coulter has tried to keep the immigration focus on Marco Rubio.